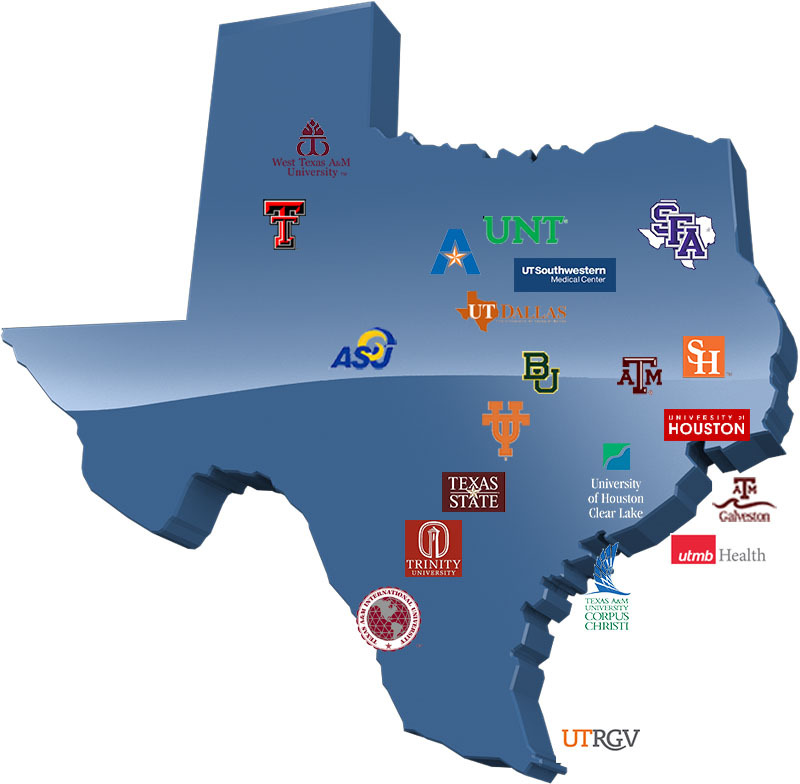 The Texas Digital Library is a multi-university consortium dedicated to providing the infrastructure necessary to support digital scholarly communications at institutions of higher learning in Texas. Contributions from the TDL’s members are essential to the work of the TDL. Find out more about membership in the Texas Digital Library. The Texas Digital Library, along with the Texas Advanced Computing Center (TACC) at The University of Texas at Austin, has joined the Chronopolis digital preservation network. Other nodes in the TRAC-certified digital preservation network, which is administered by the UC San Diego Library, include the University of California San Diego; the National Center for Atmospheric Research; and the University of Maryland Institute for Advanced Computer Studies. Chronopolis leverages high-speed networks, mass-scale storage capabilities, and the expertise of the partners, to provide a geographically distributed, heterogeneous, and highly redundant preservation repository system. The Texas Advanced Computing Center (TACC) is committed to its mission to enable discoveries that advance science and society through the application of advanced computing technologies. TACC provides resources and services to researchers nationwide; conducts research and development projects around the technologies we use; and provides training and education for the local and national scientific community. With more than 80 dedicated staff members, TACC supports top-notch research in every field of science from chemistry, astronomy, physics and biology, to nanotechnology, materials science and bio-informatics. TACC serves as a vital part of the TDL’s preservation infrastructure. Find out more about the TDL Preservation Network. DuraSpace supports the DSpace open repository platform, the basis for the repository serviceprovided by the Texas Digital Library to its members.DuraSpace is a not-for-profit organization that provides leadership and innovation in open source and cloud-based technologies for global communities who manage, preserve, and provide access to digital content. Find out more about DuraSpace. The Public Knowledge Project is a research and development initiative directed toward improving the scholarly and public quality of academic research through the development of innovative online publishing and knowledge-sharing environments.The Texas Digital Library employs PKP open-source technologies for two of its scholarly communications services: Open Journal Systems for the TDL Electronic Journal platform and Open Conference Systems for Online Conference Management.